.•*•..•* HappyMoonBelly Creations *•..•*•. 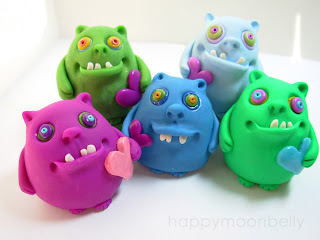 : love monster iNvaSioN !! some new love monsters are making their way over to the Etsy store this week! 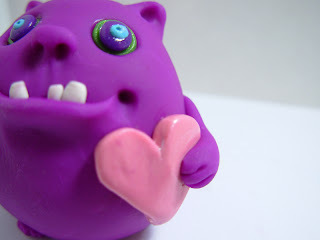 I am experimenting with a new way to do their eye's, and all of them have tiny little tails and a heart pattern on their back (made from a heart stamp I made).